The Continental Assurance Company operated from 1911 until 2001 as a subsidiary of commercial insurance company CNA Financial Corporation when The Hartford purchased it. While CNA Financial Corporation continues to provide doctors and health care facilities with liability coverage and risk control insurance products, individual plans are no longer offered. As a result, Assurant Health is being recommended in place of Continental Assurance Health Insurance. See health insurance quotes instantly by entering your zip code! Assurant Health offers a wide range of major medical health insurance products aimed towards families, individuals, students, and small business owners. Offering low prices and instant coverage, Assurant Health’s public policy is to meet the needs of each one of its customers. The headquarters for Assurant Health are located in Milwaukee, Wisconsin. While the main phone number for Assurant Health is listed as 1-800-800-1212, the company has a different number designated for its customer service department. That phone number is 1-800-647-9106. Assurant Health’s call center is open at various times of the day, beginning at 7:00 AM from Monday through Friday, and ending at 8:00 PM from Monday through Thursday. On Fridays, the call center closes at 7:00 PM. Assurant Health is also available to answer calls over the weekend. Assurant Health gives consumers the option of getting instant health insurance quotes both by filling out an online form and over the phone. There is also general pricing information listed on the Assurant Health website that provides potential customers on the types of services covered. Health discount plans can be purchased from Assurant Health, for which consumers will pay a flat rate. Dental coverage and health insurance for international students studying in the US is also offered. For major medical coverage, consumers are required to fill out a four-step application over the Internet. The types of questions asked include; zip code, gender, and the deductible amount. In order to find an affordable major medical plan, consumers will need to purchase a high deductible insurance plan. Although co-pays are covered, Assurant Health will not reimburse lab visits, and other traditional health services until the deductible is reached. Employees are eligible to receive benefits such as pension plans, tuition reimbursement, transportation reimbursement, and medical coverage. While most of the jobs offered by Assurant Health are in the company’s call centers, there appears to be opportunity for advancement. Assurant Health seems to favor applicants that have previous employment in the insurance industry. Sales agents and customer care representatives that are fluent in more than one language are also encouraged to apply for vacant positions. While Assurant Health provides some of the lowest major medical insurance premiums in the continental US, there were conflicting reports on the level of customer service provided as well as whether Assurant Health makes it difficult for customers to have their claims approved. At best, because of the sheer number of call centers that operate under the Assurant Health name, consumers might be frustrated when they are not able to have their issues resolved immediately. Research has also shown that Assurant Health regularly raises insurance premiums, even if no catastrophic event has occurred. It is recommended that all customers read the fine print of their policies in order to see what forms of treatment. For instance, annual check-ups are not covered by Assurant Health under doctors’ visits. Although other insurance companies might qualify annual check-ups as routine, Assurant Health will require you to pay for your medical treatments under this exclusion. While Assurant Health has a good rating with the Better Business Bureau, they were recently fined by the Connecticut Insurance Commissioner for more than $400,000. The basis of the ruling stems from Assurant Health’s repeated handling of insurance claims. According to an investigation prompted by the Connecticut Insurance Department, Assurant Health denied claims and delayed payouts. 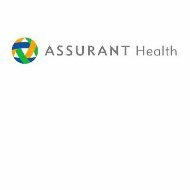 Assurant Health has pledged to review its insurance claims process and make changes as necessary. Type your zip code and see your health insurance quotes now!